BOGDAN & VAN BROECK, together with professor Thomas Coomans (heritage expertise) and Bart Huybrechts of Rebel Group (economic analysis and financial modelling), proudly present their feasibility study on the parish church of Kwaadmechelen (BE). For Sint-Lambertus in Kwaadmechelen, the historical and spatial analysis of the church and its surroundings revealed the hidden potential for a new kind of public space, right in the centre of the village. The ambition is to enable a variety of future uses for the place, whilst preserving a transitory liturgical space for the years to come and dismissing the continuous exploitation costs and vast financial impact of a full restoration scenario. 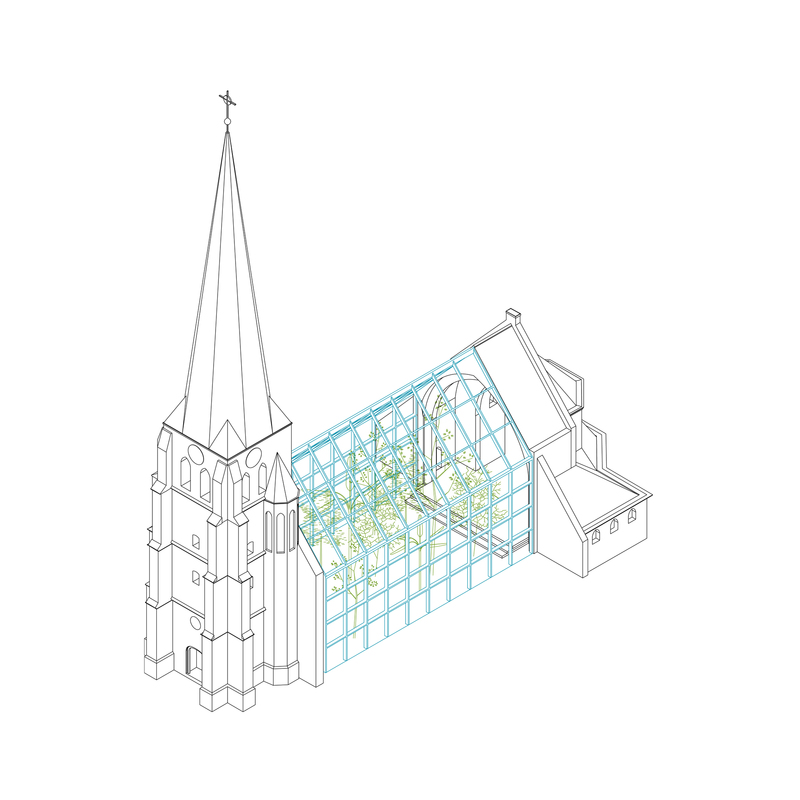 This feasibility study was commissioned by Projectbureau Herbestemming Kerken, and is part of a framework contract for a set of research by design studies on the future transformation of parish churches in Flanders. Other cases as part of our commission are Sint-Amands in Roeselare, Onze-Lieve-Vrouwe in Tielt, Sint-Jozef in Oudenaarde, Onze-Lieve-Vrouw in Haasrode, Sint-Rochus in Blankenberge, Heilige Familie in Borgerhout and Heilig Hart in Antwerp. More information available soon.